Many other manufacturers have developed van and vehicle locks but not like this. 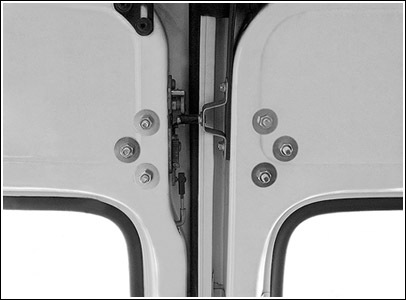 A hardened steel enclosure fits onto a van, warehouse door or shed and then any 70mm ABUS Diskus lock is fitted inside. This means that you can unlock your van and the padlock and key will be held in the door until you lock it again preventing you from dropping or loosing it. So good that it gained Product Of The Year 2011! This also means that you can choose between a variety of diskus locks to suit your need and budget or have multiple enclosures using a set of keyed alike discus locks! Please note that the enclosure is included with all necesaary fittings and bolts but DOES NOT include the padlock itself. You do need to choose a diskus padlock and also ensure it is a 70mm version. 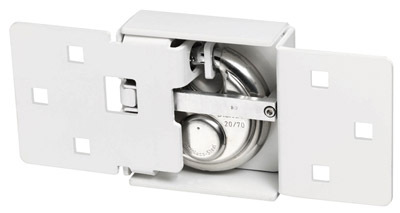 The padlock itself is removable from the rear of the unit and can therefore be replaced if damaged or worn. 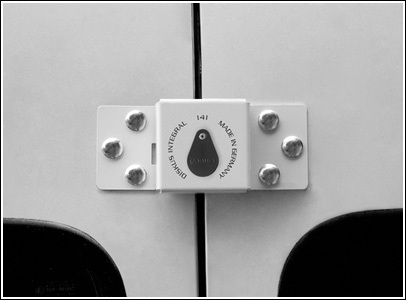 Ideal for securing a commercial vehicle when leaving expensive equipment overnight or on site. It can also be used in a variety of other applications such as gates, warehouses, doors, trucks and garages.